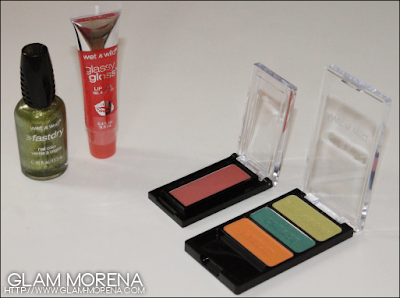 Glam Morena: Swatches: Wet n Wild Fauna & Flora Collections. 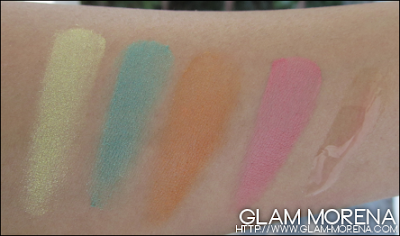 Swatches: Wet n Wild Fauna & Flora Collections. 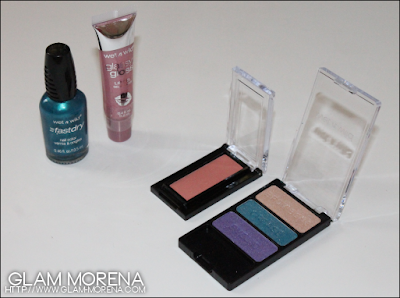 Wet n Wild has a few Spring 2012 promotions out right now! There is a Wet n Wild Fauna and Flora Collection kit. The kits include 1 Color Icon Eyeshadow Trio, 1 Color Icon Mini Blusher, 1 Glassy Gloss Lip Gel, and 1 Fast Dry Nail Color. 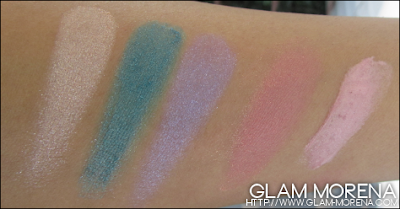 These are worth buying just for the limited edition Wet n Wild Color Icon Eyeshadow Trios! Description: Enter our lush gardens of beauty, fantasy, and desire. 2 flourishing collections in playful and seductive shades that evoke Spring’s infinite possibilities. Wet n Wild Fauna Collection: Our fresh fields of Flora are perfect for the innocent ingénue, whose gentle beauty is accentuated with flushed pink cheeks, bright colored eyes, soft sunny lips, and nail tips reminiscent of twining vines. The Wet n Wild Fauna Collection includes a Color Icon Eyeshadow Trio in Fauna, Color Icon Mini Blusher in Pearlescent Pink, Glassy Gloss Lip Gel in Glass Confusion, and Fast Dry Nail Color in Teal Or No Teal. Wet n Wild Flora Collection: In our wild, untamed world of Fauna, the femme fatale is freed to seduce with her rose-thorn cheeks, dark bold eyes, poisonous petal lips, and mysteriously colored nails. The Wet n Wild Fauna Collection includes a Color Icon Eyeshadow Trio in Floral, Color Icon Mini Blusher in Mellow Wine, Glassy Gloss Lip Gel in Mow the Glass, and Fast Dry Nail Color in Twinning Vines. Swatches of the Wet n Wild Fauna Collection. Swatches of the Wet n Wild Flora Collection. 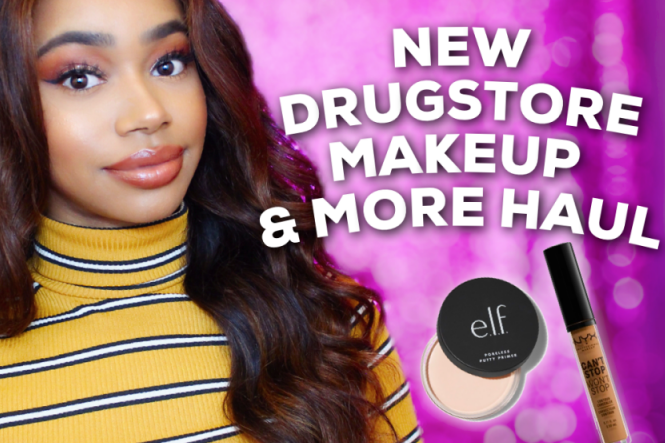 Did you purchase the Wet n Wild Fauna and/or Flora collections? Favorites? Thoughts? Disclaimer: I'm a Wet n Wild Beauty Ambassador therefore WnW Cosmetics were provided. Really like the Fauna Collection. I too would like to know where to purchased. Hope they have them available at Walgreens online.